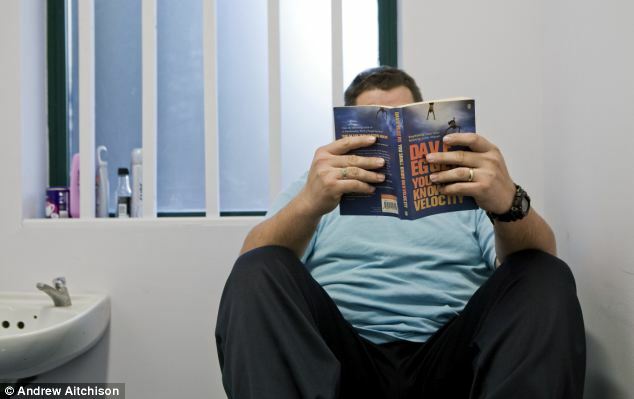 British jails may have banned books for inmates but in Italy, the more prisoners read the more time have knocked off their sentence. New legislation set to be passed means that for every book a prisoner gets through, three days will be knocked off their sentence – up to a maximum of 48 days in a year. Officials say that is the equivalent of 16 books and they all have to be above 400 pages and approved by prison staff – comic books and picture books are excluded. The initiative will be introduced for jails in the southern Italian region of Calabria – home to the local mafia known as the Camorra. Mario Caligiuri, a cultural chief on the regional council and who proposed the idea, said: ‘Reading is an exceptional antidote to disquiet and it favours understanding. as well as social and personal reawakening. ‘With this new regional law, inmates under proper guidance and supervision, will be invited to read a book and earn time off their sentence. ‘The policy is open to all inmates serving six months or more and they can read up to 16 books a year which will give them a maximum of 48 days off their sentence. ‘At the moment it is only being implemented in Calabrian prisons but we hope that the government will recognise this initiative and see how well it works and introduce it nationally. Italian prisons are some of the most overcrowded in Europe with the population topping 80,000, with space only for 60,000 and as a result several policies have been introduced to reduce numbers. Earlier this year fugitive mobster Domenico Rancadore, who was arrested in Uxbridge, successfully fought an extradition request from Italy saying the conditions in jails breached his human rights. Last November British prisons introduced a books ban which restricted the items that could be sent to inmates and the Ministry of Justice has received several complaints. The Incentives and Earned Privileges scheme was introduced in England and Wales partly as an attempt to crack down on drugs getting into prisons. 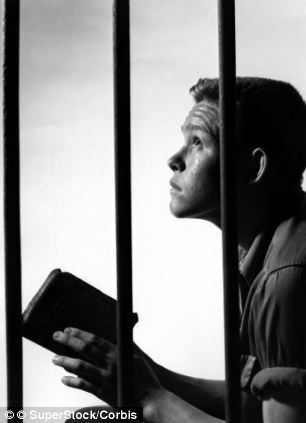 Prisoners have since argued that books sent to them in parcels are key to their rehabilitation. A test case is being brought against the MOJ by a female prisoner unhappy with the ban and poet Laureate Carol Ann Duffy, is among a string of writers who have argued against the ban claiming it hurt the ‘soul of the country’. But Justice Secretary Chris Grayling has defended the policy through an open letter to her, insisting it kept prisons free of drugs. The government has also maintained that prisoners can still use prison libraries or earn money to buy books.